thatgamecompany was originally under an exclusive agreement with Sony and its first three titles — "Flow" and "Journey," along with "Flower" — launched solely on the PlayStation 3. After its launch in 2009, "Flower" later expanded to PlayStation 4 and Vita, but now makes its way to iOS. The critically acclaimed title was named "Best Independent Game of 2009" at the Spike Video Game awards, and won "Casual Game of the Year" from the Academy of Interactive Arts and Sciences. 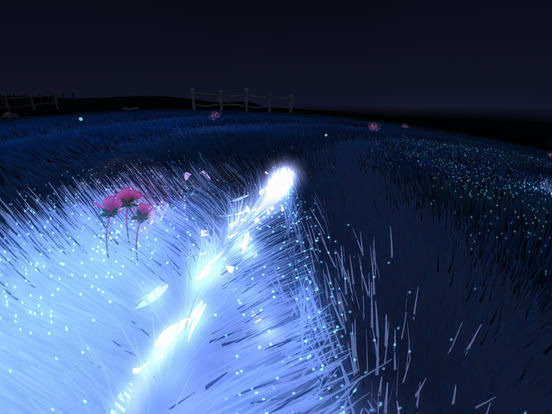 In "Flower," users take control of the wind and maneuver a single flower petal around a three-dimensional environment using motion controls, by tilting an iPhone or iPad. 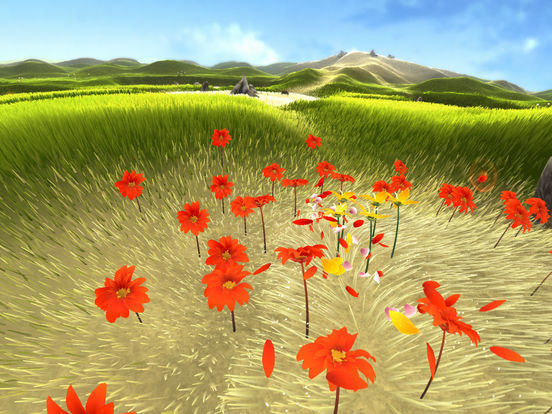 By flying their petal through flowers in the game world, more petals are collected to float in the wind. Meant for casual play, the title allows players to experience the game at their own pace, changing the environment as they go. Notably, the title is available only for iPhone and iPad, with no tvOS support. That won't be the case with the company's next title, "Sky," which was demonstrated earlier this month at the Apple TV 4K unveiling as supporting the next-generation set-top box, taking advantage of its A10X Fusion chip and Metal 2 API. Simple Gameplay Controls - Controlling the game is as simple as tilting your device in the direction you want to go. 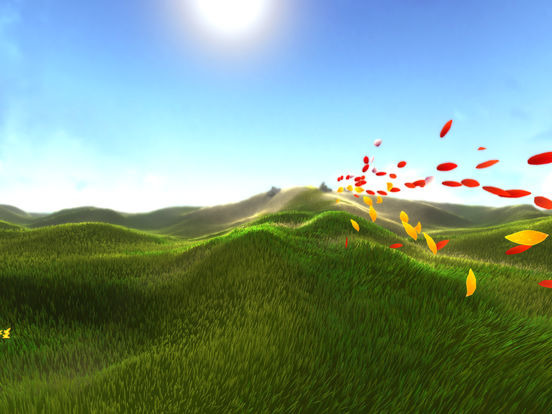 Lush and Interactive Environments - Vast grassy fields, blowing in the breeze, create a lush, immersive environment. Immersive and Emotional - Accessible to gamers and non-gamers alike, the game takes players on an incredibly personal and emotional experience. "Flower" for iOS is available now for $4.99 as a 1.05-gigabyte download. It requires a device running iOS 10.3 or later.